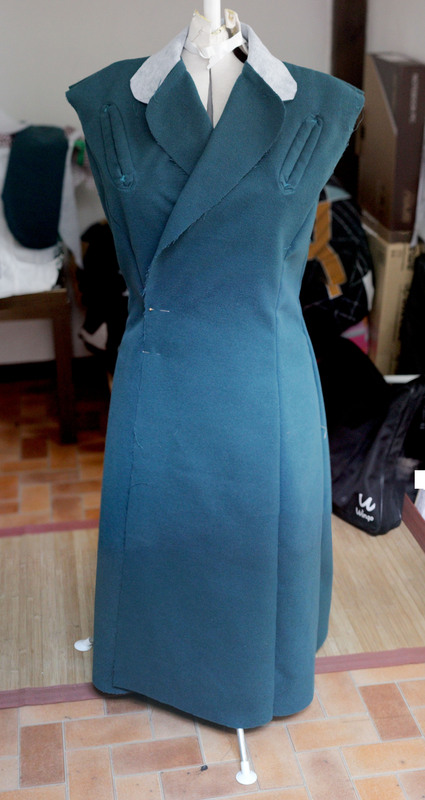 I enventually found some time to work on my coat but quite more slowly than this summer. As the pattern is a 30bust and I am more a 34, I had to resize it. I made a muslin, which seemed to fit well. But then, using the final fabric I realised it was way too big!! 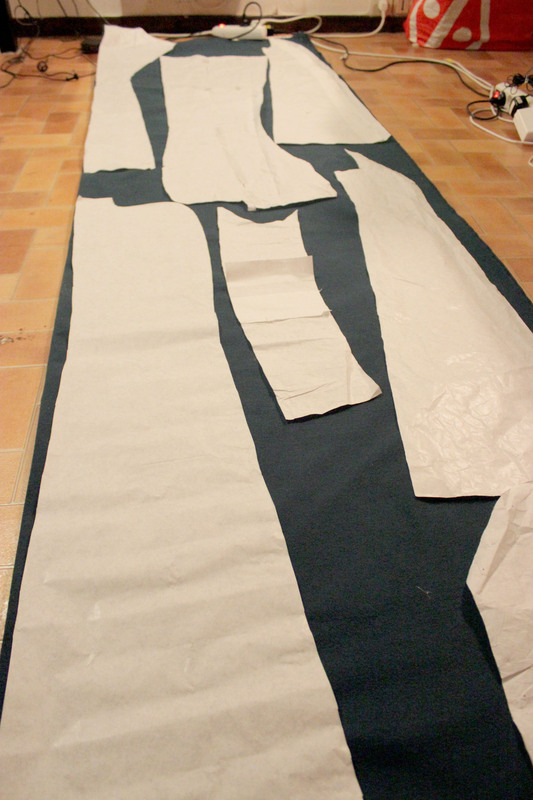 First, the tracing and cutting time was really… hum… interesting in my little student flat. The whole piece of fabric took almost the width of the room haha! As you can see it was dark because I only can work on it at night, And that there is a big problem with the electrical outlets organization in the room haha! I feared I might lack of fabric but finally it was just enough, and I still have small pieces left to make a matching hat! Yey!! 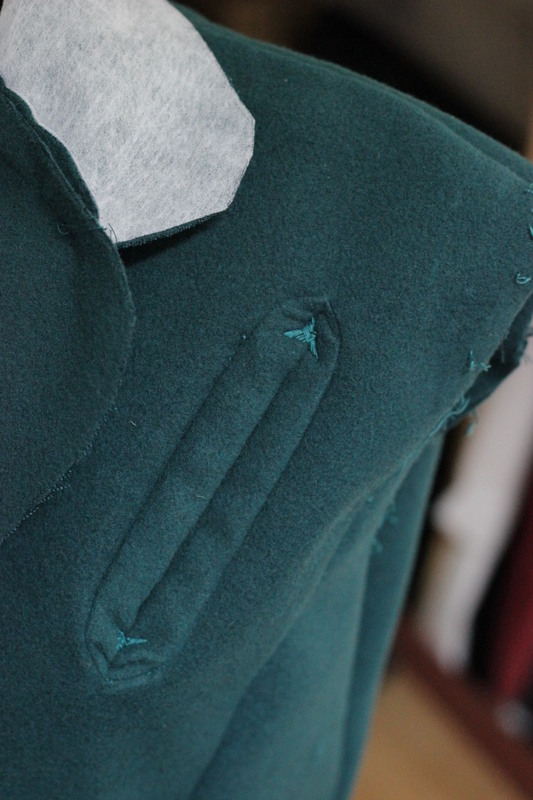 arrow stitces, hard to do on such a thick fabric and with the pleats, but cute! So I made a long list of alterations, trying with he sleeves or without, and finally here’s the no-sleeve result today, not so bad I think! Sorry, my model didn’t resist all the movings, and it is falling apart,. So it’s not the coat that is twisted, it is the model haha! So I have to re-sew the sleeves, and draft the lining : as I altered the final pieces a lot,, the lining patterns are false now. I think I will mould it directly on the coat. See you later for the next step!!! 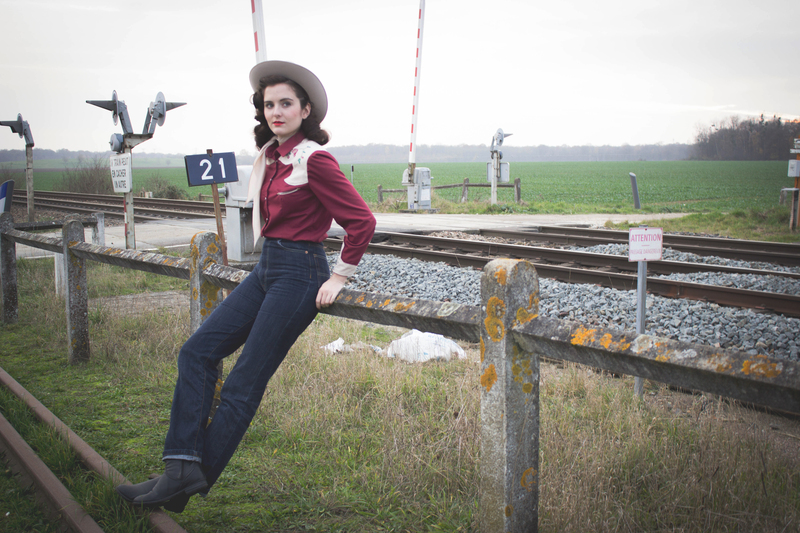 Article précédent Huge project on the go : 1940s coat, inspired by Gladys the Bomb girl! Beautiful color! Are you going to line it with a similar color? Love it!!! The arrows and details are fantastic! Great blogs I love reading!